Arnica is a true blue display font. It is precisely based on an effortless geometry that uses circles (and components) as an arrangement. It is a highly experimental project where, instead of upercases, one can use alternate characters and swashes. In addition, this typeface comes armed with fifty discretionary ligatures. When activated, the font provides lettering with a uniquely distinct touch. It also comes with the bold weight that further highlights the experimental value of the project. You can easily combine lowercases with uppercases and add discretionary ligatures and bolds to experiment with the font. You can also write the same word in many different and interesting styles. 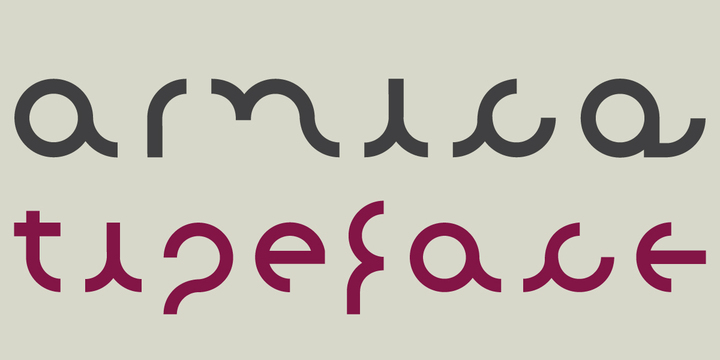 The character set offers over four hundred glyphs and provides excellent support for a wide number of languages.